There are some sleep disorders that take a little extra mental effort to understand. In particular, it is perhaps most difficult to comprehend the circadian rhythm disorders. The associated jargon is the first stumbling block; the science can be an additional challenge. Let’s take a plunge and try to understand one of the most confusing: What is Non-24-Hour Sleep-Wake Disorder (Non-24)? Learn about the causes, symptoms, diagnosis, and treatment of Non-24. In order to better understand Non-24, it is important to delve into one of the most fundamental processes of life: timing sleep and wakefulness to the light patterns of night and day. Without spending too much time hypothesizing about the evolution of this relationship, it makes sense to consider that life would want to be aware and active when food is available. When it becomes unsafe, cold, or when food is simply harder to come by, it would be reasonable to shut things down and conserve energy. This may be an important reason why we sleep. Correlating the body’s processes – sleep and wakefulness, metabolism, hormone release – to the timing of the geological day takes a precise timekeeper. This internal clock is called the suprachiasmatic nucleus (SCN). It lies in the hypothalamus, a forward part of the brain that is closely associated with our perception of light. Light enters the eyes and travels via the optic nerve, an extension of the brain itself. Behind the eyes, input from both eyes via these nerves crosses at a place called the optic chiasm. Just above this (supra), is the SCN. Light thus has direct control on the body’s timing of processes that follow a circadian rhythm. Without light, our body becomes a ship that has lost its mooring. Yet we are not in so desperate straits as might be imagined. Built into our very genetic code, our body will maintain circadian patterns without exposure to cycles of light and darkness. If you were placed in a cave, a place with constant light intensity, you would still sleep about 8 hours and be awake about 16 hours per day -- but not exactly. For most people, the genetically determined day length is a little long, usually about 24 1/2 hours. (Rarely it can also be shorter than 24 hours.) This is an extra half hour of time. As a result, each day you would want to go to bed and wake 30 minutes later because you would have no sense of day or night. Light helps to reset our internal clocks each day and without it our body’s circadian processes would drift across the geological day. This results in a free-running or non entrained rhythm that evolves over weeks. In effect, this is the experience of the totally blind. Those who completely lack light perception cannot be reset. Instead, their genetically determined circadian rhythm takes over. As a result, their desire for sleep gets a little later each day, leading to insomnia. They also want to wake later, and this can cause excessive sleepiness. There will be times when there is a completely flipped relationship between the day-night and wake-sleep phenomena. Then, gradually, things will start to move back into phase. This shifting misalignment leads to the sleep disorder called, in short, Non-24. Non-24 is most often due to blindness. It is estimated that there are 1 million blind people in the United States and 20 percent are totally blind. 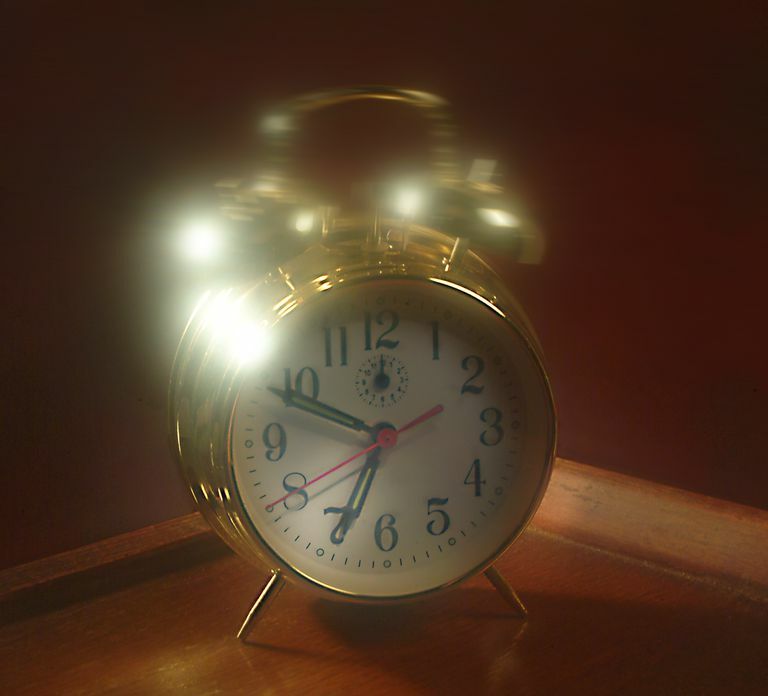 Depending on the nature of the blindness, some may retain normal circadian rhythms. Those who completely lack light perception are at risk of developing Non-24. This disorder likely affects more than half of the totally blind and 50 to 80 percent complain of sleep disturbances. Regardless of the underlying cause of Non-24, the symptoms will be the same. People with Non-24 will complain of shifting patterns of difficulty falling or staying asleep, symptoms of insomnia, and daytime sleepiness. This often evolves over several weeks as the desire for sleep changes in relation to the natural patterns of light and darkness. There will be periods when sleep is transiently good, only to gradually worsen again. Afflicted people may also complain of difficulty with concentration, short-term memory, and mood. It can also lead to stomach upset and a sense of feeling unwell called malaise. These symptoms last at least 3 months. The condition is often diagnosed based on tracking the sleep patterns for at least 14 days. This may be done with the use of daily sleep logs or actigraphy. These records will typically show a gradual delay in sleep each day, as most people’s circadian period is longer than 24 hours. The amount of delay depends on the innate rhythm and may range from less than 30 minutes to more than 1 hour. The amount of time it takes to fall asleep, or sleep latency, will increase. In addition, a correlating increase in daytime sleepiness will occur. Further confirmatory tests can include measurement with saliva testing of the dim light melatonin onset (DLMO) or 6-sulfatoxymelatonin in the urine, typically at two points that are 2-4 weeks apart. Non-24 is most often treated with low doses of melatonin taken in the evening. Hetlioz is a prescription medication available for the condition. Direct research comparisons of these two treatments have not been done. Blind people may also respond to other cues of timing, such as physical activity and meals. When Non-24 occurs in the sighted, properly timed light exposure can be helpful. If you believe you may be experiencing Non-24, start by seeking evaluation by a sleep specialist who can arrange additional testing and provide appropriate treatment for the condition. "International Classification of Sleep Disorders." American Academy of Sleep Medicine, 3rd edition, 2014. Lewy AJ and Newsome DA. “Different types of melatonin circadian secretory rhythms in some blind subjects.” J Clin Endocrinol Metab. 1983; 56:1103-07. Morgenthaler TI et al. “Practice parameters for the clinical evaluation and treatment of circadian rhythm sleep disorders: An American Academy of Sleep Medicine report.” Sleep. 2007; 30:1445-59. Sack RL et al. “Circadian rhythm abnormalities in totally blind people: incidence and clinical significance.” J Clin Endocrinol Metab. 1992; 75:127-134. Sack, RL et al. “Entrainment of free-running circadian rhythms by melatonin in blind people.” NEJM. 2000; 343(15)1070-1077.